Already, computing systems are outperforming humans in many tasks that profoundly shape our everyday lives in the fields of transportation, communication, energy, finance, healthcare, retail, education, public services and utilities, law as well as defense and security. There are also clear upsides and opportunities, disrupting the fabric of our social contracts, our sense of human identity and dignity, and our considerations of agency and personal empowerment. "The Emotion Machine," popularized by cognitive scientist Marvin Minsky in his 2006 book, explains how our minds work, how they progress from simple kinds of thought to more complex forms that enable us to reflect on ourselves – what most people refer to as consciousness, or self-awareness. An emotional machine may not be a threat in itself since it could learn empathy. However, engaging with an emotional machine could be an unpredictable situation – and hence, a potential risk. Once we understand thinking, we can build machines through artificial intelligence, machine learning, deep learning or neural networks that can assist with our thinking, machines that can follow the same thinking patterns that we follow and that can think as we do. These humanlike thinking machines would also be emotion machines – just as we are. Yet, if they knew why the machine has chosen to do something in a particular way, then they would be more likely to accept and embrace it as an invaluable tool rather than seeing it as a threat or unnecessary. There are plenty of wild statements thrown around about artificial intelligence – from a threat to our jobs to a threat to the human race as we know it. There is little doubt that AI will displace many low-skilled jobs. Arguably, robots have already taken many jobs on the assembly line. But now, this could extend to new levels. Artificial intelligence has massive potential advantages. A modern example is AI being used for cancer treatment and making recommendations based on medical records. In one of his articles, Tristan Greene points out that Ray Kurzweil Google’s AI guru predicts humans and machines will merge within 20 years. Kurswell says the human-robot hybrid won’t be a monstrosity of metal. It’ll be a chip in your brain instead of an iPhone in your hand. In the future, it will be no more shocking to think about the weather in Hong Kong and get an answer than it is to say “Hey Google, what’s the weather in China?” and receive accurate information from a glowing rectangle with a speaker inside of it. 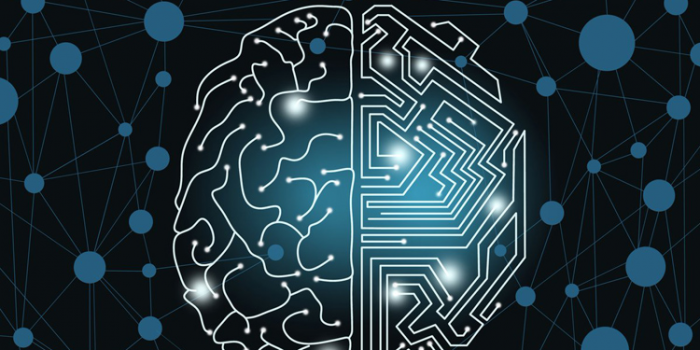 Kurzweil believes “medical robots will go inside our brain and connect our neo-cortex to the smart cloud” by the year 2029. The truth about AI, according to experts such as Ray Kurzweil, is that there’s no part of our lives that won’t be directly affected by it. As individuals, we probably won’t notice the changes in real-time, but our dependence on machine learning will increase at exponential rates. On the positive side of AI, we have the prospect of self-driving cars and other benefits, and through education humans can evolve and improve. We are still experiencing a risk versus reward syndrome. The risks include loss of jobs, growing inequality and dealing with super intelligence. I don't think learning to code will solve issues of workforce automation and give humans a skill advantage over machines. It is important to understand the language of code in order to interpret AI algorithms and develop a working understanding. It is important for accountability, but in terms of skills for a future workforce, we are better to focus on creative and social skills that are more inherently human. The key for humans will be to use their own judgement to apply it productively and ensure the “rise of the robots” doesn’t get out of hand. Intelligent personal assistants such as Siri, Alexa and Google Now, are examples of AI technology. However, as AI develops further, automation will impact up the skills ladder also. We are seeing this already with legal work automation and increasing use of AI in medicine. The bottom line is clear - our workforce needs to be prepared to deal with rapidly changing times and be agile enough to thrive in uncertainty. I recently read a debate on “Automation and replacement of jobs” in which Yolanda Lannquist mentions that many economists (e.g. David Autor, MIT) claim that mass technological unemployment will not occur because we will have increasing consumer demands for new products and services creating new jobs, have new jobs enabled by the technology (e.g. virtual reality world designer, or Schumpeter's "creative destruction"), or that humans will maintain a niche in certain creative or interpersonal tasks. However, the rapid pace of technological development and computing power enabling advancements in AI are increasingly pointing otherwise. In “The Economic Singularity,” Calum Chace debunks many of the commonly cited reasons against mass unemployment. For example, he points out that patients in nursing and care can prefer working with machines. PTSD patients have been shown to discuss more openly and freely with machines, which they perceive as non-judgmental. Equipped with enhanced facial and biometric capabilities, machine therapists have been better able to diagnose depression and other ailments that humans hide in therapy sessions. Humans have an interesting ability to "anthropomorphize," or assign human traits, to cute and real-looking robots, like PARO, a robotic seal with large eyes and soft fur that has been popular among patients in hospitals. In the April 2017 HBR article "Thinking Through How Automation Will Affect Your Workforce,” Ravin Jesuthasan and John Boudreau state that cognitive automation takes on more complex tasks by applying things like pattern recognition or language understanding to various tasks. For example, the Amazon Go retail store in Seattle has no cashiers or checkout lanes. Customers pick up their items and go, as sensors and algorithms automatically charge their Amazon account. Automation has replaced the work elements of scanning purchases and processing payment. Yet other elements of the “job” of store associate are still done by humans, including advising in-store customers about product features. Social robotics involves robots moving autonomously and interacting or collaborating with humans through the combination of sensors, AI and mechanical robots. A good example is “driverless” vehicles as robotics and algorithms interact with other human drivers to navigate through traffic. Deconstructing the “job” reveals that the human still plays an important role. While the human “co-pilot” no longer does the work of routine navigation and piloting, they still do things like observing the driverless operation and stepping in to assist with unusual or dangerous situations. Indeed, it is often overlooked that the human co-pilot is actually “training” the AI-driven social robotics, because every time the human makes a correction, the situation and the results are “learned” by the AI system. AI will significantly disrupt and potentially empower the world's workforce. It won’t happen all at once or in every job, but it will happen, and leaders will need an automation strategy that realizes its benefits, avoids needless costs, and rests on a more nuanced understanding of work.